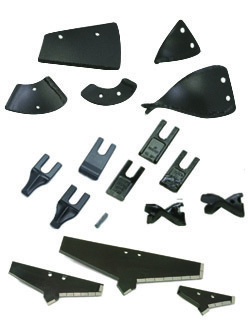 Matching the ideal point and blade to the specific soil type minimizes premature wear, maintenance costs and labor. Unlike many manufacturers that make one auger blade, Little Beaver manufactures a variety of augers, points, and blades designed to optimize their ability to cut through specific soil profiles. 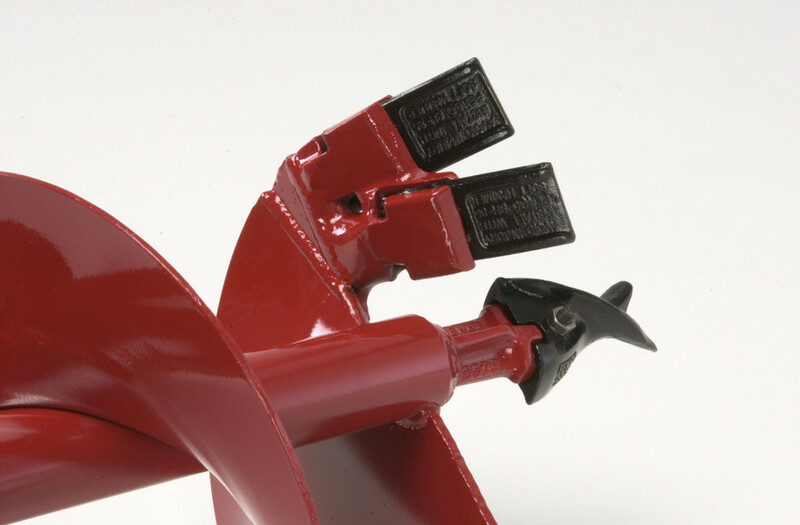 Little Beaver’s replaceable blades and points mount on the company’s regular and heavy-duty snap-on augers with ease. They protect the augers from wear while drilling in soils that range from loamy soil to compacted rock. Little Beaver manufactures a variety of augers, points, and blades designed to optimize their ability to cut through specific soil profiles. The standard blades and points come with every Little Beaver snap-on auger. They fasten to the auger with two steel bolts, and operators can remove the bolts with a common adjustable wrench. The standard blades and points are ideally suited for loamy soils or areas with few rocks. They are made with cold-rolled steel and hard surfacing to their edges. With these blades and points, the augers can drill more than 100 holes in prime soil conditions before servicing is needed. Smaller-diameter augers – 1-1/2-inch, 2-inch and 3-inch – use standard points that simply screw or pin on. For the most challenging soil formations, Little Beaver’s line of heavy-duty snap-on augers use specially designed, heavy-duty steel and carbide blades and tips for abrasive soils and compacted rock. They lock into the larger-diameter augers with rubber locks to form a tight wedge fit, so they cut through difficult soil formations without coming loose from the auger.